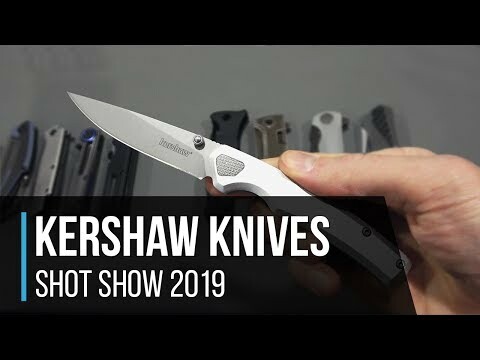 The Kershaw Reverb XL is taking a cue from it's predecessor in the ways of versatile, lightweight and compact carry. Geared toward hikers and outdoorsman, the XL has been lengthened when compared to the original while maintaining a slim build for effortless pocket or gear carry. The Blade: Made of 8Cr13MoV stainless steel, the upswept blade offers plenty of belly ideal for remote food prep and superior slicing. Titanium carbo-nitride coating not only looks good, but also helps protect the blade from corrosion. Near full length fuller groove has been machined for easy opening without any added bulk. Blade locks open for safe and secure use. Quite sharp and comes in an easy sharpening stainless steel for quick edge maintenance while in the field. The Handle: Blue-gray G10 frontside with handsome carbon fiber front overlay and carbo-nitride coated stainless steel framelock back, the handle features a slimline design without sacrificing comfort. This is a nice combo that makes accessing the frame lock cutout simple. Multiple carry options round out the Reverb XL including a single position deep carry pocket clip (right, tip-up) or the integrated carabiner found in the handle.